Serving a giant paratha is a really unique idea to attract customers or foodies. 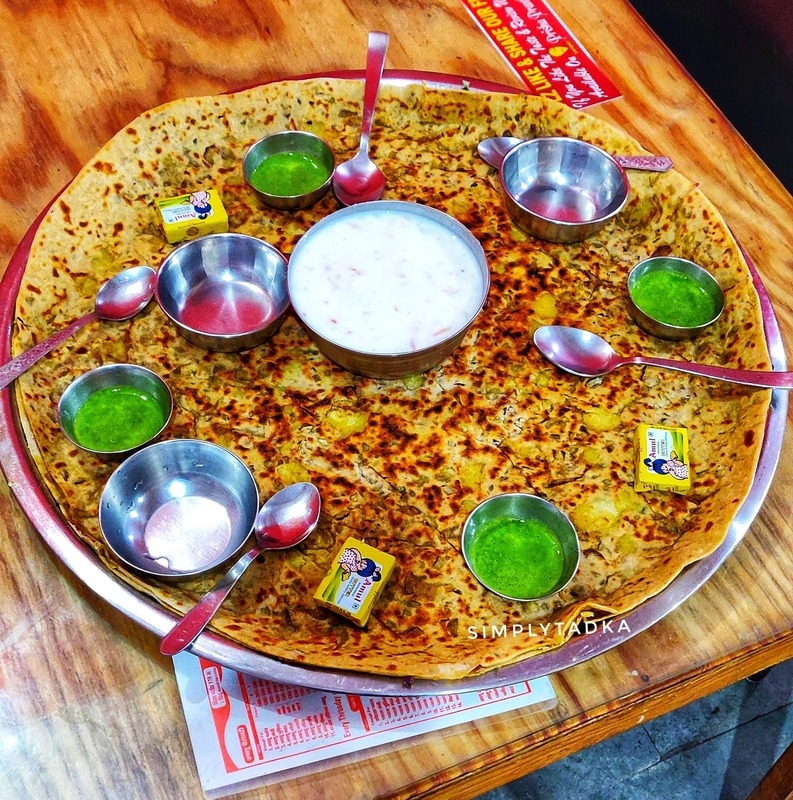 I visited this place called Prisha Paratha Junction in West Uttam Nagar, Delhi. They serve the paratha with a large bowl of fresh vegetables, raita, Amul butter cubes and green mint chutney. We ordered Aloo Pyaaz Paratha that was super tasty and perfectly cooked. There is a large size paratha which weighs over 1.2 kg and is 2ft long which is enough to fill four people up!